Ireland offers several significant ferries operating services to the UK, France, and Spain. Whether you’re looking for a super fast ferry to the UK or you would rather enjoy a leisurely cruise; these ferries offer a range of services and destinations. 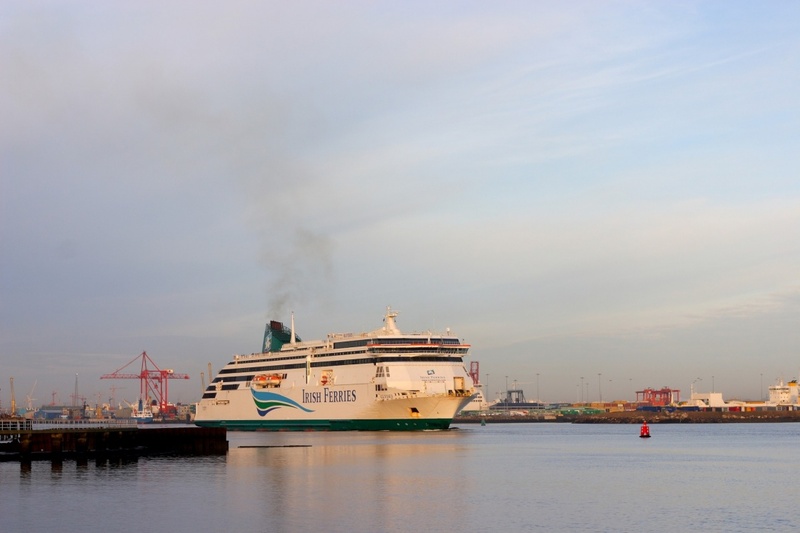 Ireland’s leading ferry, Irish Ferries operates services between Ireland, the UK, and France. Irish Ferries has four ferries: Dublin Swift, Oscar Wilde, Isle of Inishmore and Ulysses. Onboard, Irish Ferries offer an array of delicious restaurants, bars, cafes, TV lounges, and entertainment zones. Current release movies are featured at two Volta Picture Theatres on The Ulysses. Irish Ferries slogan is ‘The Low Fares Company’ providing patrons with the best value in ferry fares. Proudly boasting the largest fleet of vessels; P&O Ferries provides patrons with a comprehensive range of facilities and services. P&O also has one of the most extensive route networks and frequent services to the UK. Their Fastcraft ferries whizz from the UK to Ireland at the record-breaking speed of one hour. Alternatively, Superferries offer leisurely two hour scenic routes. Onboard, patrons enjoy an array of delicious restaurants, bars, and a cafe. There is a play area for children, duty free shop, and currency exchange. Comfortable seating and high class cabins are also available. Offering the widest route selection; Brittany Ferries has services to the UK, France, and Spain. Onboard patrons enjoy French cuisine, interacting with bi-lingual staffs, first-class facilities, and award-winning service. Brittany Ferries owns six vessels: Armorique, Barfleur, Bretagne, Cap Finistre, Mont St Michael, and Normandie. All ships are equipped first class entertainment and dining options. Stena Line offers speedy services to Britain and Holland at low fares. Stena Line also gives patrons more flexibility and choice a comprehensive route. Offering a superb range of day trips from Ireland to Britain, Stena Line allows patrons to get away for the day. There are so many routes to choose from. Celtic Link is a state-of-the-art vessel that provides the best value services crossing between Ireland and France. Celtic Link is the only ferry to offer transportation from Ireland to France all year long. Regular and reliable services are provided between Rosslare and Cherbourg. Onboard services including two bars, a cinema, a games room for kids, and spacious living quarters. There is an excellent selection of two, four, and six berth cabins and first-class cabins available. With three services per week between Ireland and France, travelers have plenty of options. Norman Voyager is a cutting edge vessel providing services to England and France. Onboard patrons can dine at the delicious restaurant, order a drink from the bar, or view a current release. 110 cabins, comfortable lounges, and Wi-Fi areas are available on the ship for passengers to relax and enjoy the journey. For the best route and prices, compare services and book tickets early though www.aferry.com.